Most people have heard of London but many haven’t been to the city to explore the sights such as the Houses of Parliament, parks, markets, Baker Street and Madame Tussauds, but what are the most famous landmarks and why do they attract so many visitors? 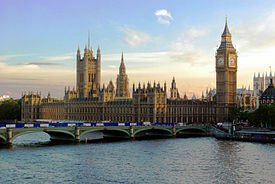 The Palace of Westminster lies on the north bank of the River Thames. It is more commonly known as the House of Commons, but it is more than that as it also includes the House of Lords – the two houses of the Parliament of the United Kingdom. The chairs in the House of Commons are green and the chairs in the House of Lords are red. The Palace covers eight acres, has around 1100 rooms, 100 staircases, 4.8km of passageways along with four acres of gardens and green lawn surrounding the Palace. The Original Palace was built in the 11th Century but suffered two fires, the first in 1512 and the second in 1834 – the only buildings to survive the fires were Westminster Hall, the Cloisters of St Stephen’s, the Chapel of St Mary Undercroft and the Jewel Tower. After the fire of 1834, the current Palace of Westminster was rebuilt and the Gothic Style of the building was designed by Charles Barry. Apart from Seeing Eye dogs, no animals are allowed in the Palace. The Palace is the home of the infamous Gunpowder plot which took place on 5 November 1905 and saw a failed attempt by Guy Fawkes to blow up the Palace during the State Opening of Parliament. 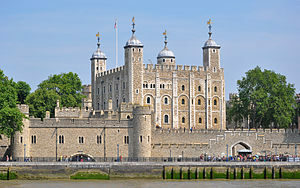 The official name of the Tower is “Her Majesty’s Royal Palace and Fortress of the Tower of London“. The Tower of London is 900 years and was originally built by William the Conqueror, after his successful invasion of England in 1066. The Tower was used as a prison from 1100 until 1952 and prisoners included John de Courcy, William Wallace, James 1 of Scotland, Anne Boleyn, Thomas Cromwell, Sir Walter Raleigh, Guy Fawkes, Sir Robert Walpole, Rudolf Hess and the Kray Twins. The Tower of London was bombed during the Blitz on 22 September 1940, leaving several buildings in the castle grounds damaged. To commemorate 100 years of Britain’s involvement in World War One, artists Paul Cummins and Tom Piper created 888,246 ceramic poppies to fill the Tower’s famous moat in 2014. Westminster Abbey is located opposite to the Palace of Westminster and its formal title is the Collegiate Church of St Peter at Westminster. The current Westminster Abbey was built under the direction of King Henry III between the years 1245 and 1272, however, it was originally established in 960 by Benedictine monks. 39 Coronations have taken place in Westminster Abbey, in fact, every English and British monarch with the exception of Edward V and Edward VIII have been crowned in Westminster Abbey since William the Conqueror in 1066. Westminster Abbey does not operate like a regular church as its doesn’t report to the hierarchy of the Church of England, but in 1560 was given the title “Royal Peculiar” which means it is a church directly to the Sovereign. Each Sunday, five separate sermons are delivered in the Abbey or in St Margaret’s, which is located in the grounds of the Abbey. 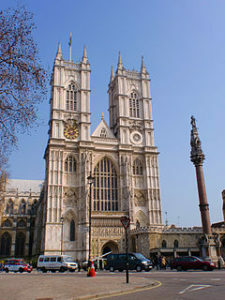 Westminster Abbey is also a notable burial ground as over 3,300 people have been buried or commemorated here including British Monarchs, Poets, Generals, Admirals, Politicians, Doctors, and Scientists. Westminster Abbey also includes the tomb of The Unknown Soldier who was killed during First World War and was buried in the Abbey on 11 November 1920. People are forbidden to walk on this grave. The organ in Westminster Abbey was built in 1937 by Harrison & Harrison. It was first used at King George VI’s coronation. Westminster Abbey has a stained glass window which commemorates those lost in the Battle of Britain. Buckingham Palace has 775 rooms including 19 State rooms, 52 royal and guest bedroom, 188 staff bedrooms, 92 offices and 78 bathrooms. The Palace has 1,514 doors and 760 windows. The State rooms are open for public viewing each year during the months of August and September. 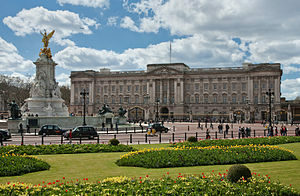 Buckingham Palace is also used as the administration headquarters for the Royal family. The Royal Standard flag always flies from the top of the flag pole at the Palace when the Queen is at home. Buckingham Palace is guarded by five regiments of Foot Guards. They wear red jackets and tall furry hats which are called bearskins. Each day when they first come on duty there is a ceremony called the Changing of the Guard. The Palace employs around 400 people which includes domestic servants, chefs, footmen, cleaners, plumbers, gardeners, chauffeurs, and electrician. The Palace has 300 clocks and two people are employed to look after them. St Paul’s is Anglican Cathedral which is the seat of the Bishop of London. St Paul’s was an important part of the rebuilding plan after the Great Fire of London in 1666 and was designed by Sir Christopher Wren who was the first person to be buried in the cathedral. The dome of St Paul’s is 365 feet high and to reach it you have to climb 259 steps! St Paul’s is home to the Whispering Gallery where if you whisper against the wall it can be clearly heard 112 feet away on the other side. St Paul’s has held funeral services for several famous people including Sir Winston Churchill, Lord Horatio Nelson, and Poet John Donne. 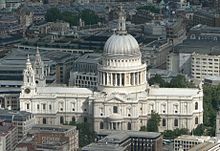 St Paul’s has also been featured in several films including Thor: Dark World, Harry Potter and the Prisoner of Azkaban, Sherlock Holmes, and Mary Poppins. The London Eye can be found on the South Bank of the River Thames in London. It is owned by Coca Cola but was previously owned by British Airways, Merlin Entertainment, and EDF Energy. The London Eye is 445 feet tall and has a diameter of 394 feet. The London Eye has been called a giant Ferris wheel but the operators of Eye call it “”the world’s tallest cantilevered observation wheel”. The London Eye has 32 capsules which represent the 32 boroughs of London. There is no Number 13 capsule on the wheel because of superstitious reasons, so the capsules are number 1 – 33. A journey on the wheel takes 30 minutes and the wheel rotates at 26cm per second which is about 0.6 mph. 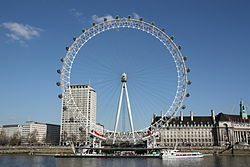 The architects who designed the London Eye were Frank Anatole, Nic Bailey, Steve Chilton, Malcolm Cook, Mark Sparrowbank, Julia Barfield and David Marks. Big Ben is the name used to describe the clock tower which is situated at the north end of the Palace of Westminster. 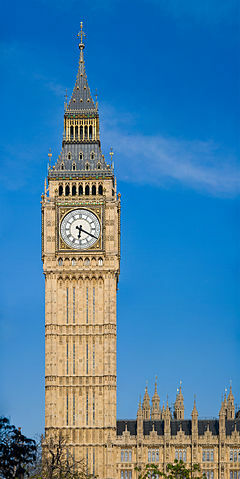 Big Ben is actually the name of the thirteen ton Great Bell which is located the top of the 320 foot high clock tower. Big Ben chimes every 15 minutes and the sound can be heard for a radius of up to 5 miles. The chimes are also used to introduce the news every hour on BBC Radio 4. Big Ben is a four-faced chiming clock and is the largest in the world and each face is 23 feet in diameter. The hour hand of the clock is 9ft long, the minute hand is 14 ft. long and the pendulum is 3.9m long, weighs 300kg and beats once every 2 seconds. Through TV and Radio broadcast, the chimes of Big Ben are used to mark the beginning of every New Year and are also used to mark the 11th hour of the 11th day of the 11th month on Remembrance Day.